You can see the creative students from KIHS, Taiwan in this film. ・We plan to have video conference at this forum. 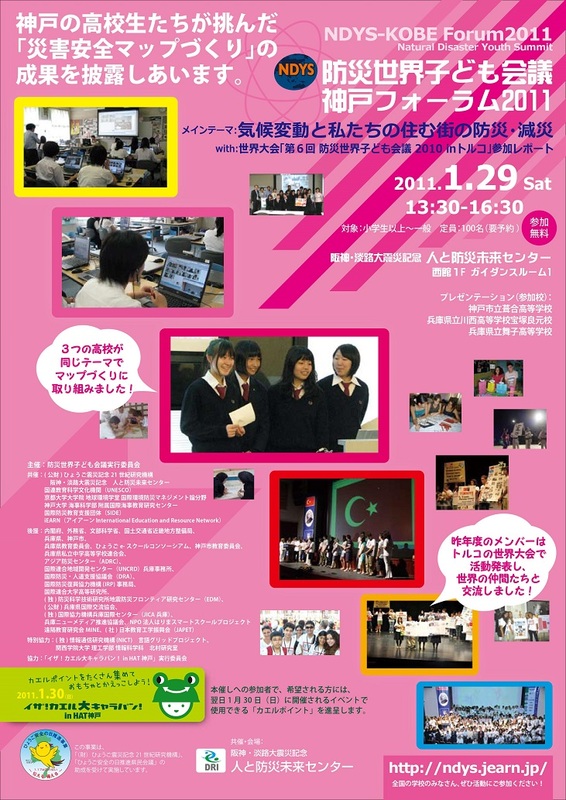 ・NDYS launches "NDYS-KOBE Forum 2011"
*Supported by Hyogo Earthquake Memorial 21st Century Research Institute and The Hyogo Prefectural people meeting under the theme "January 17 shall never be forgotten."